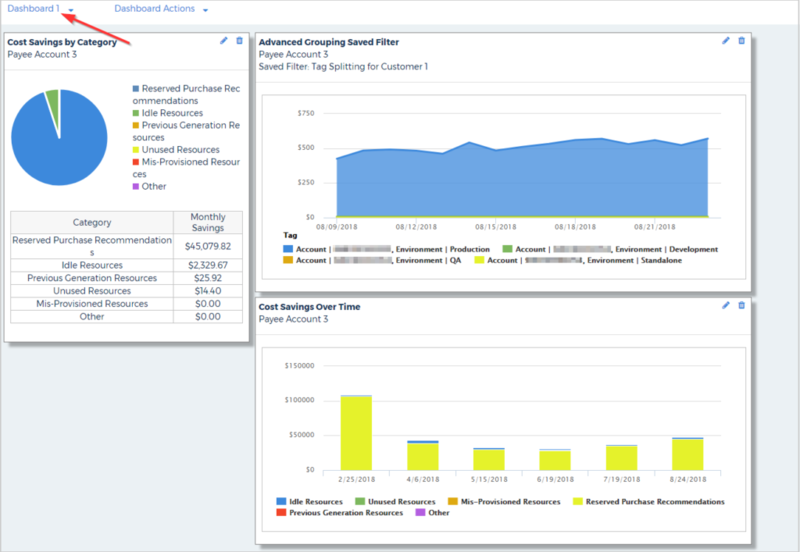 Dashboards provide quick, distilled views of data related to your cloud cost, inventory, utilization, and saved filters. You can choose from more than 30 built-in dashboard panes that you can add to your dashboard view and customize. This guide will show you how to create dashboards and add and configure panes within a dashboard. From the CloudCheckr accounts page, go to the menu bar and click the Dashboards icon then select Create Dashboard. The Create New Dashboard dialog box may have different options depending on your user role. If you have logged into CloudCheckr with an admin user role, you can name the dashboard and assign users. If you have logged into CloudCheckr with a basic user role, you can only name the dashboard. Type a name for the dashboard. From the Assigned Users drop-down list, select the email address of the user or users who will have access to the dashboard. The Add New Pane dialog box opens. From the Pane Type drop-down menu, select one of the built-in panes. For example, the chief financial officer of ABC Financial may want to have access to the cost data for the company's cloud deployment. You can configure the dashboard to show the built-in panes that show cost-related data. From the Account drop-down menu, select the account you want to associate with the dashboard. From the Cost for Saved Filter drop-down menu, you can select a saved filter that you created in Advanced Grouping (Cost > AWS Billing > Custom Reporting > Advanced Grouping) or from any saved budget alerts (Cost > Alerts > Manager). Once you create a single pane in a dashboard, go to the Dashboard Actions drop-down menu, and select Add Pane to add more panes. 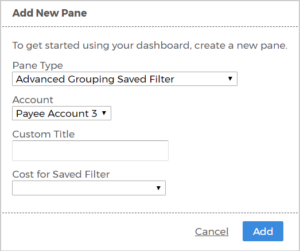 CloudCheckr does not limit the number of panes that you can add to a dashboard. Your completed dashboard will display the name of the dashboard in the upper left corner. All the panes that you added are visible in the dashboard. Use the Dashboard Actions to create a new dashboard, add a pane to the existing dashboard, configure, or delete a dashboard. 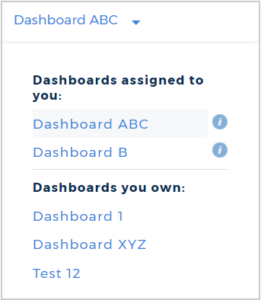 If you select Configure Dashboard, you can modify the name of the dashboard. To rearrange the panes, click and drag a pane to a new position on the dashboard. To modify a pane, click (Edit Pane). To delete a pane, click (Remove Pane).